The Great Central U.S. 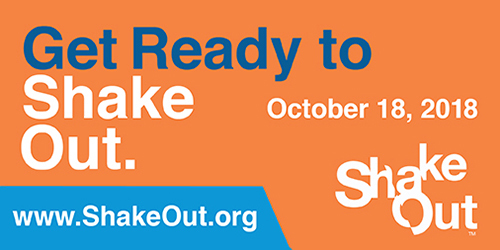 Shakeout Drill will take place Thursday (Oct. 18) at 10:18 a.m. local time. WKU will participate in the exercise through the activation of its emergency communications systems, including the RAVE text alert and outdoor warning speakers at 10:18 a.m. CT.